Shredabull Weight Loss Aid: Is This Pill Effective? 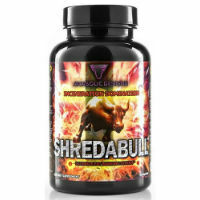 Shredabull is a nonprescription diet aid that has been designed to provide dieters with a number of different advantages that will make it easier for them to lose weight. It claims that its tremendous list of ingredients will provide a broad spectrum of benefits that will “incinerate fat stores” from the body. While this can be used for regular dieting, it is also geared toward people who are trying to burn fat away as a part of their bodybuilding strategy. It is a product that is meant primarily for fat burning and that is both sold and manufactured by Anabolic Designs, which has been active since 2009. That company offers a range of sports and nutrition products that are primarily geared toward athletes. Regardless of the reason that the user wants to burn fat, this product is meant to be used as a part of a regular exercise program. 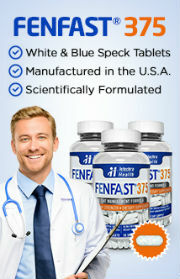 It isn’t a pill to be popped so that the user can simply wait around for miraculous results. It is marketed as the final component to top off a weight loss or athletic routine that includes a proper diet and exercise program. This product can provide a pre-workout boost in addition to the claims that it has made with regards to fat burning. The directions for this product recommend that one capsule be taken three times per day. 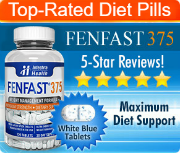 No more than six capsules should ever be taken within a 24 hour period. The first should be taken upon waking up in the morning, the second should be taken ahead of eating lunch, and the third should be taken 45 minutes to an hour before training. On days when the user isn’t doing a workout, the final capsule should be taken in the afternoon. It should not be taken within four hours of going to bed at night. The reason is that this formula is heavily based on stimulants, which can cause struggles with sleeping if they are taken too close to bedtime. The ingredients within this formula are listed on the official website as: vitamin B6, vitamin B12, niacin, folic acid, chromium, calcium carbonate, senna seed, the Incinerate-Thermogenic Matrix (caffeine anhydrous, white willow bark, ginger root extract, raspberry ketones, citrus aurantium (synephrine), green tea extract, and capsaicin powder), the Thyrocharge-Thyroid Activity Enhancer (guggul and coleus forskohlii), Secretrophin-Growth Hormone Stimulator (alpha GPC and mucuna pruriens), Lipocarbolate-Fat & Carb Uptake Regulator (chitosan white kidney bean extract), Neuro Zone-Mental Focus Matrix (N-acetyl L-tyrosine, phenylethylamine HCl, DMAE, and vinpocetine), and the Cortkill-Cortisol Control Matrix (bacopa monnieri, ashwagandha, and rhodiola rosea).